5,784 others viewed this post. 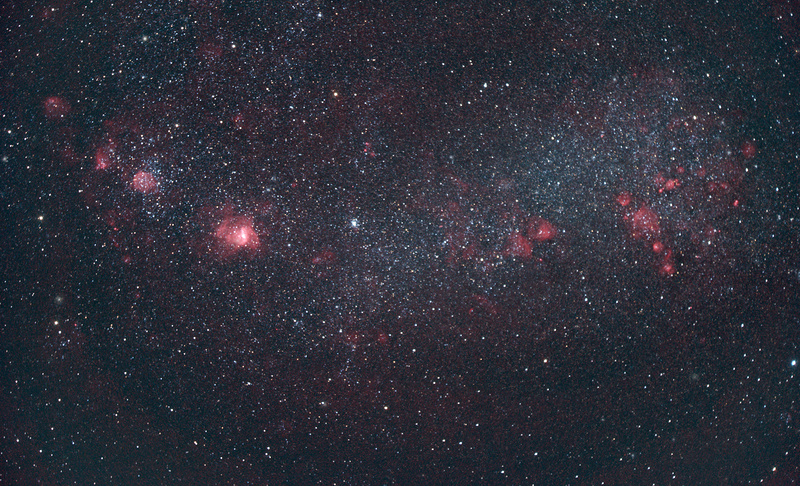 Star Formation on a Massive Scale – Small Magellanic Cloud imaged 18th Nov in HaRGB. SMC is a “dwarf galaxy”, but even small things in space tend to be massive. 7,000 light years across and with a mass of 7 BILLION suns, this image shows hydrogen-rich star formation nebulas scattered throughout the galaxy amongst several hundred million young white/blue stars and many older red/orange stars too. 24 minutes of RGB and 24 minutes of Hydrogen Alpha data.